Oxford's application process runs about three months ahead of the rest of the country's UCAS application process. "While the application process may seem daunting, it's all worth it to study such an interesting and applicable course in such a beautiful city." 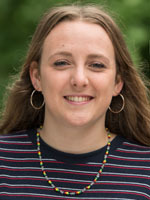 Ella, Geography undergraduate, writing about her experience of coming to Oxford from a state school. You don't have to have travelled the world, and we don't care what type of school you attended - all that matters is that you are academically able and motivated by an intellectual curiosity. Or any other equivalent (see other UK qualifications, and international qualifications). N.B. If English is not your first language you may also need to meet our English language requirements. There are no required subjects you must have studied, although nearly all applicants have studied Geography. In our selection criteria we are looking for your potential for independent thinking, ability to follow an argument, comprehension, problem-solving and a spirit of enquiry. Applicants will need to display evidence of a strong academic record and an ability to deploy their knowledge in ways that show initiative and enthusiasm. Interviews are not a test of knowledge but give candidates the opportunity to respond in a thoughtful way to unpredictable questions and ideas. You will need to submit your application between early September and mid-October for entry in the following year. Put these admissions timeline dates in your diary and start planning your application now. Visit our page on Oxford's tutorial system and read about who teaches where, to help you decide which college to apply to. For more information about applications and interviews read our frequently asked questions. Help with your application... and how it feels to get an offer to Oxford!